With Perpetua 6, you can expect a cleaner, easier, and more enjoyable user experience. Inspired by your comments and feedback, we are working on taking Perpetua to the next level of usability. We are beginning by giving Perpetua a much needed redesign. Windows are wider, navigation is clearer, and the entire system will share a uniform layout. We are also packing in all new features and tools to give you more control over your website while maintaining the simplicity you have come to know and love. Check back here for information on the latest updates and releases. Experience a redesigned, re-purposed, and more powerful Contact Management dashboard. 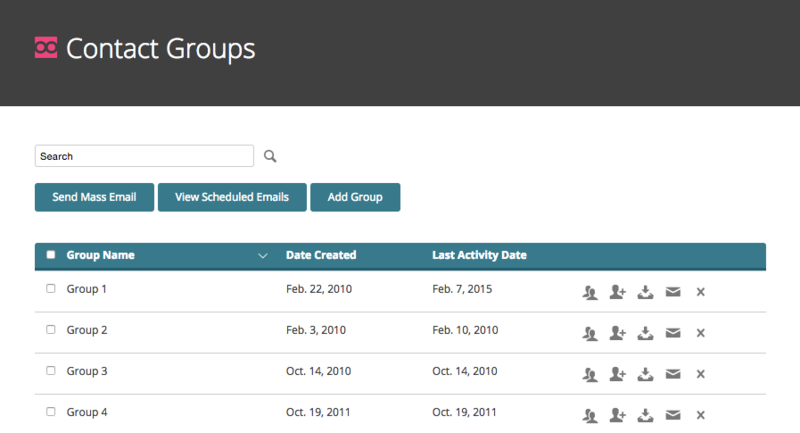 From this new window you can manage groups, send emails, import, export, and edit contacts. Here is a preview of the new Contact Management. Finally, Sort Content has taken on a fresh look with minor improvements. 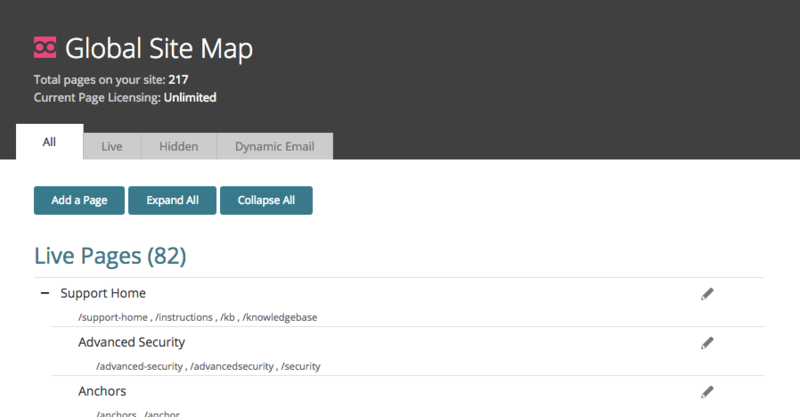 In Perpetua 6.3, we have taken the Global Site Map to a new level of functionality and design. With expanded features like Adding, Editing, and Deleting pages directly from the Global Site Map, you now have more control than ever. Perpetua 6.2 will exhibit redesigned windows for two of the most common Perpetua modules: the Content Box and Sub Page Box. Combined with the latest Content Editor, the Content Box will now include a larger editing area for increased visibility. Check back on February 2nd for a more powerful Global Site Map with all-new features. Perpetua 6.1 represents some of the first major updates to Perpetua. You will begin to see updated modules and windows with the new Perpetua brand as well as streamlined and simplified editing. If you would like to become a Beta-Tester for free for Perpetua 6, click the "Become a Beta-Tester" link on the right. Later in Jan. 2015, expect to see updates to Sort Content, updated and enhanced Global Site Map, public releases of Content Box and Sub Page Box, and redesigned Site Definitions. With all of the Perpetua 6 updates, we value your feedback in driving us to build a better Perpetua. Click "Submit Feedback" on the right to let us know what you think or what you would like to see changed. We would love to hear from you. Your feedback helps us continue to refine Perpetua and include features that matter to you. Help us test new features by becoming a beta-tester for Perpetua. Click below to start receiving the latest updates.